Kulbhushan Jadhav’s mother and wife met him, nearly two years after the Pakistani army arrested the Indian national and sentenced him to death over allegations of spying. The meeting that lasted for a mere 40 minutes can be viewed as an attempt by Islamabad to reach out to the Modi government, which has shown little interest in widening its engagement with the neighbour after the Pathankot and Uri terror strikes. 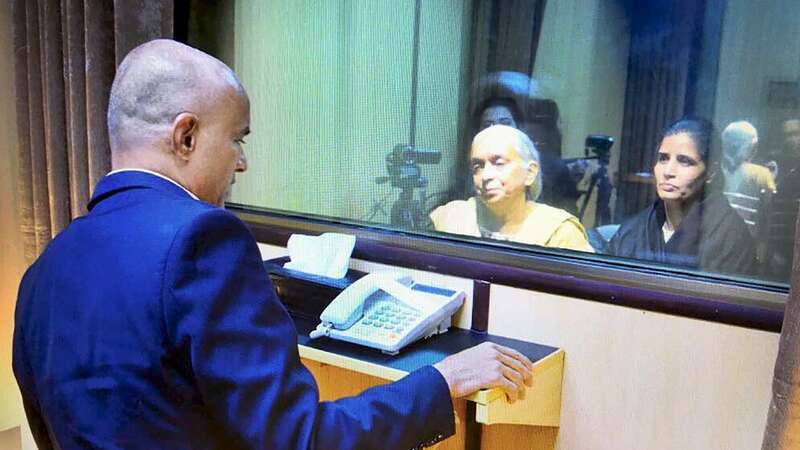 Jadhav and his family were separated by a glass panel and they spoke through a speaker phone in what was a family gathering of sorts after a gap of about 22 months. Pakistan’s foreign office director of India desk, Dr Fariha, was also present. Jadhav’s mother Avanti and wife Chetana were accompanied to the meeting by India’s deputy high commissioner JP Singh to provide them moral support. India rejected Pak claim that since the Indian deputy high commissioner accompanied the family, it constituted “consular access”. The Pakistan foreign ministry also clarified that the meeting was granted as “a humanitarian gesture on the birthday of the Father of the nation, Quaid-e-Azam Muhammad Ali Jinnah” and should not be seen as “consular access”. However, Pak foreign minister Khawaja Muhammad Asif earlier said allowing an Indian diplomat with the family meant consular access. Jadhav’s family landed in Islamabad via Dubai around noon and as they drove to meet him, traffic was blocked on the road. Pakistan Rangers, anti-terrorism squads and sharp shooters were posted on rooftops to prevent any untoward incident. India had sought a “sovereign guarantee” from Pakistan to ensure the safety of Jadhav’s family. A former officer of the Indian Navy, Jadhav was sentenced to death by a military court in Pakistan in April. India has opposed the arrest and the sentencing, saying he was kidnapped from Iran where he runs a business. Since his arrest, Pak has repeatedly refused to give India consular access.